As a nonprofit, you know first-hand the time and resources required to ensure the advancement of your cause. Every day, you work tirelessly to change the world for the betterment of society and community. However, you know your cause will not be won by you alone. You need followers and supporters that share your dedication and passion for change. But how do you enlist support? Projecting your nonprofit through customized promotional marketing encourages name recognition and awareness for your cause. By branding products around your nonprofit, you increase the strength of your organization and provide a banner for your supporters to rally behind. Without that banner, your nonprofit can never hope to gain the steadfast support needed to promote lasting positive changes. 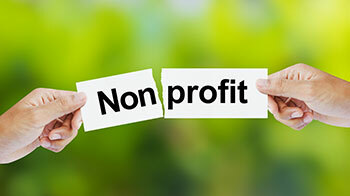 At Tuttle Marketing Services, we pride ourselves on the services we provide the nonprofit community. For this reason, we offer special rates for organizations to show our support for the betterment of our communities. As a nonprofit, creating themed merchandise focused on your mission can help raise awareness for your cause while also raising money. The “Restore the Shore” organization raised money and awareness for the Gulf of Mexico following Hurricane Sandy. Using an online store with Tuttle Marketing Services, the group raised roughly $16,000 in 10 days while distributing products with messages about the concern. Promote awareness for your cause!